My Kenyan family is here! More on that later. So no going to work on the off grid prefab house kit this weekend. For some crazy reason, Richmond Unite asked me to speak at their huge event at the Richmond Convention Center. I detest public speaking. But the issue... well, here is what I wrote down as to what I *wanted* to impart. Whether I said it or not I can not say; my eyes were glazed over as I spoke while staring into rows of people, a convention center full of people, endless rows upon rows of people... staring... at... me. Including Sir Richard Branson. astronaut Buzz Aldrin (YES! *BUZZ ALDRIN! *) and Tumblr's founder, David Karp. And a bunch of people. I'd rather be talkin' tech. GreenCottageKits.com, and GreenCabinKits.com and would soooo much rather be speaking to you professionally about technology, energy efficient green building, or off grid living. 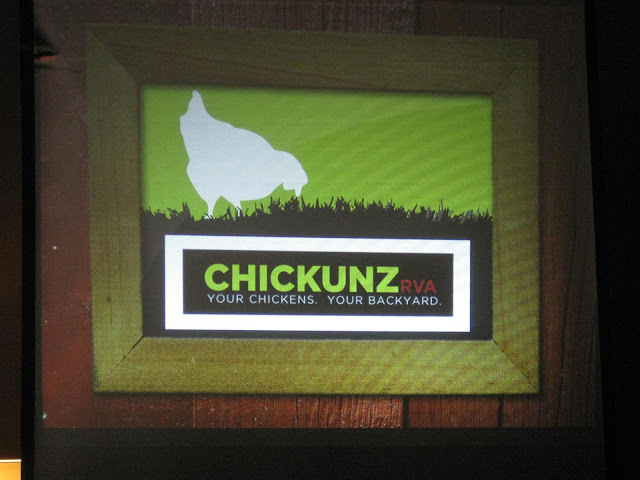 But for the past four, almost five years, her volunteer focus has been on... CHICKUNZ. 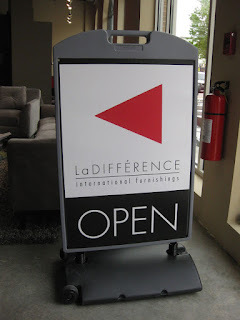 I’ll be direct: I have an intense fear of public speaking so have brought Lisa Dearden, founder of ChiknEGG.com and Richmond’s My Manakin Market along as a CHICKUNZ member to step in case I need to step out. Public speaking makes my stomach turn. But what upsets me more and propels me to speak today is because regional Richmond officials refuse to allow our community a simple sustainable food right: The right to have back yard hens. Urban hens have always been a part of regional Richmond, and this basic food right is key to our future if we want to take livability and sustainability seriously. 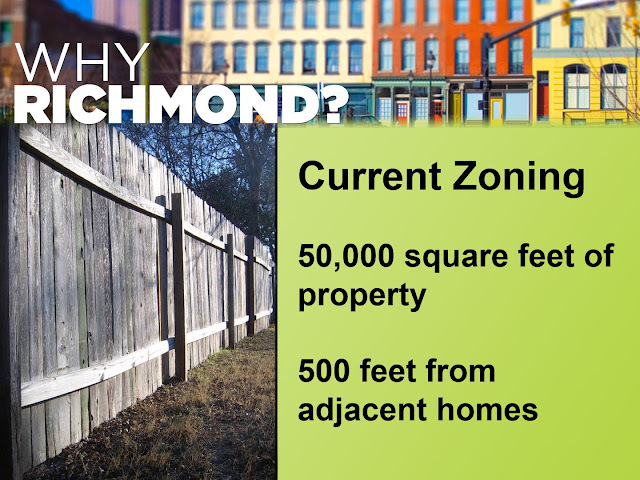 We wish Richmond would catch up to what livable cities all over the world embrace. On Tuesday, our Richmond forced a family with young children, whose husband had lost his job three weeks ago and was their only source of income, to get rid of their back yard hens. 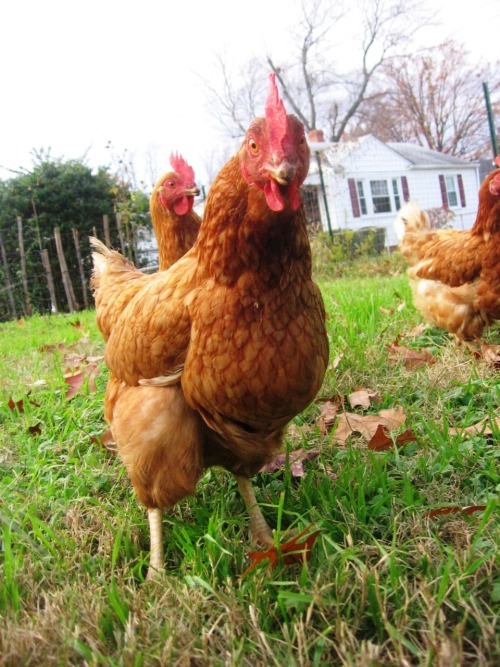 On Thursday, a Chesterfield family lost their hens. That family’s father is disabled, and the mother out of work. Is this a livable city? Is this the Richmond we want to be? Over 17.2 million households [not people: HOUSEHOLDS] are affected by food insecurity here in the United States. Richmond takes hens from jobless families. 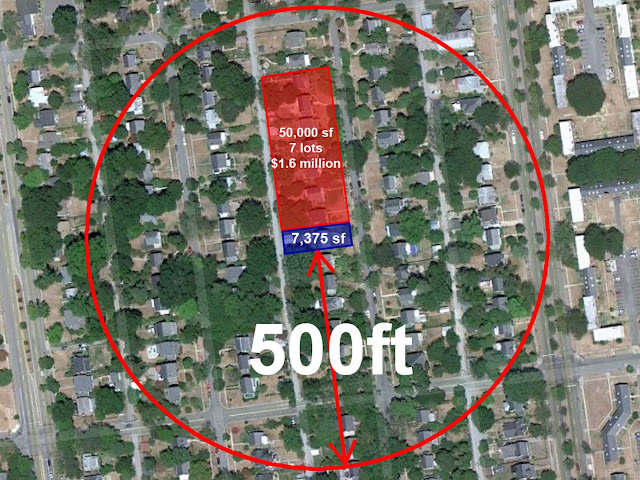 Well, technically, hens *are* allowed in Richmond city if you have 500ft of space from the coop to a residence (in Henrico, you would need 400ft - which, by the way, is over a football field in length). That means hens are currently available to only extremely wealthy citizens who can afford backyards... the size of stadiums. 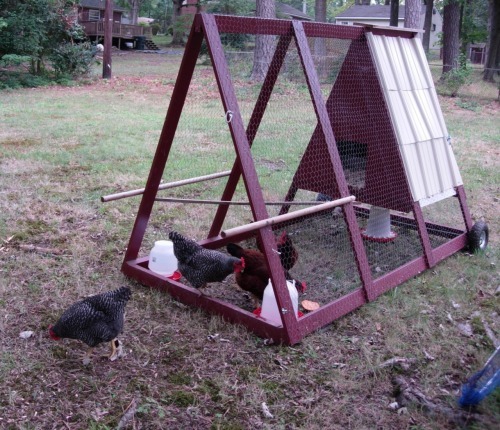 Yet in most other, much larger, busier cities, zoning embraces urban hens. Why is it New York, Portland, Austin, Seattle, Boston, Raleigh and other livable cities embrace hens with even smaller lots, yet regional Richmond won’t consider hens in the average back yard? 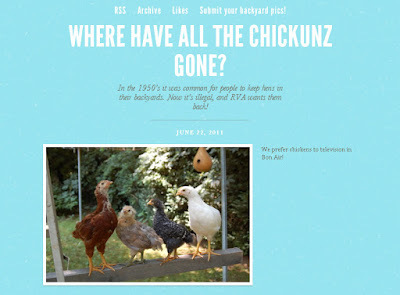 When I started CHICKUNZ four years ago, we created a list of pro-chicken cities. These days it is much easier to note the few and fewer cities that are anti-hen than pro-hen. Richmond is currently, officially, anti-hen. My husband also works in technology. The Fortune 500 company for whom he works has been bought twice in two years. 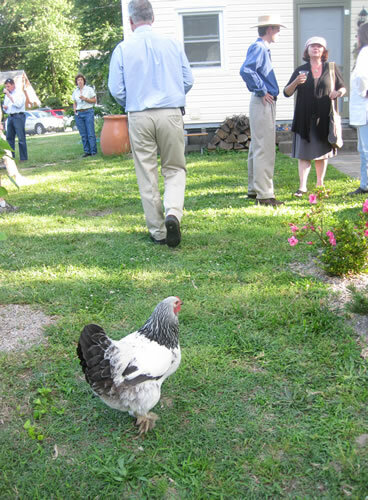 BOTH HEADQUARTERS’ cities, on two different sides of the country, embrace urban hens. A Richmond native, I'd love for this technology company with smart people to move here and call Richmond home. But I could never ask these families to give up their hens! Knowing they'd have to give up the right to backyard eggs for their families, why would I then ethically try to entice them to relocate here? Google your favorite, “livable” cities and then add “coop tour” to your query to see how YOUR favorite cities are not only celebrating coops but using them to entice business, promote tourism, and enhance their community’s sustainability. Raleigh’s Tour D’Coop just raised over $5,000 and 3,000 pounds of food for their local food bank. The country of Belgium actually asks its citizens to keep hens, so that municipal waste is further reduced. In England, nursing homes are adding hens to help Alzheimers patients and boost their resident’s quality of life. 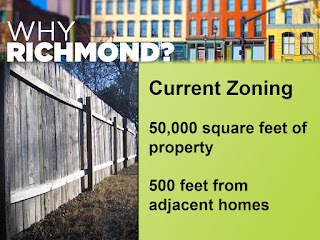 If Richmond wants to consider itself truly livable and sustainable, we need to allow our community to bring back hens, we need to embrace our craftsmen, the arts, we need the freedom to let. our. culture. flourish. One of the most beautiful terms I heard this year was a Southern, African-American term that refers to backyard hens: In African-American cultures of a certain age, they refer to chickens as Glory Birds. Glory Birds because no matter where you live or what your circumstances are, if you can keep a few hens, you are grateful: you have those hens to sustain you through good, and bad, times. The hens give to you in so many ways, hence, a truly Glorious Bird. Without my hens now, I truly appreciate the term. Our hens gave us glory in so many ways: The eggs, of course, but the humor, the connection to the food we eat, the impact on our children raised with the intimate knowledge and responsibility and appreciation for backyard sustenance. And when the hens were taken? Our back yard fruit trees were stripped by squirrels now able to enter the yard because there was no busy-body flock o’ hens to chase them. Every day we tally and watch our losses, each season without hens where my family could benefit from an easily more-food-secure urban average back yard. Why doesn’t Richmond support this? So. What has CHICKUNZ done over the past year to help Richmond? From Henrico: “"Just to give you an idea, as a unit we respond to over 21,000 animal related calls each year. Of those 21,000, about 5,000 are wildlife related and the rest are domestic animals or livestock. I can safely say that we receive no more than maybe 150 or so calls in regards to chickens in a year’s time. " Because? 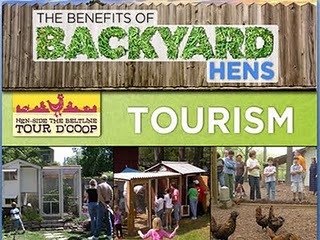 Back yard hens make good, practical business sense for our community. 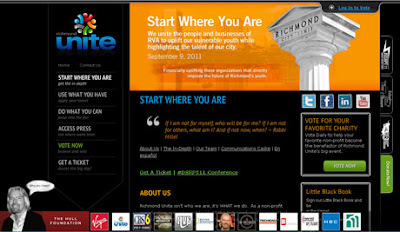 You might recognize a few prominent businesses here in this list, including your sponsor Techead and Richmond’s La Diff and Posh Tots and James River Air and... well, the list goes on. If you’d like your business included on this list, contact me. 7. Members have attended and volunteered at several Richmond events with an educational display, most recently at Broad Appetit and Richmond’s Earth Day festival. 9. Lisa Dearden of ChiknEGG organized a showing of the urban chicken documentary Mad City Chickens at The Byrd Theater this spring. We will have Richmond’s 2nd Annual Coop Tour in October! And coming this winter? Well, you’ll have to join our Facebook page, CHICKUNZ, to stay abreast of details. I believe the ability for families to have hens is a basic food right that should be available for all of regional Richmond. I believe Richmond needs to rethink noise. 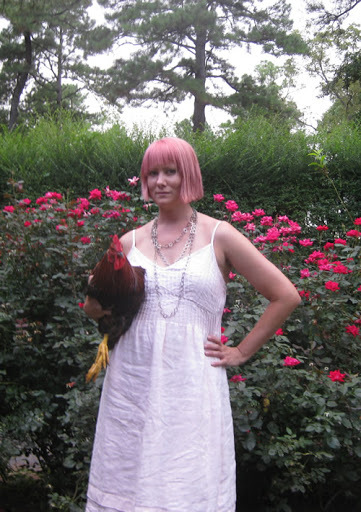 We do not advocate for roosters. 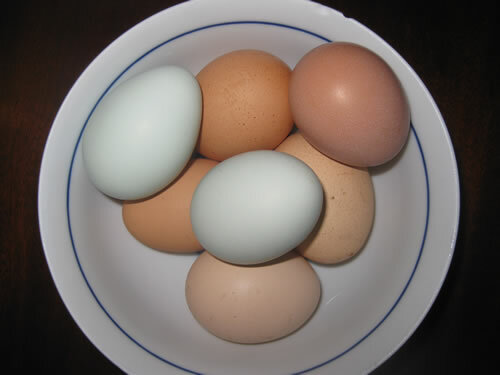 Hens lay eggs without roosters. No need for roosters in an urban setting! But a hen’s cluck? Much less noisy than any barking dog. Think about it: It would take about ten hens to make up the poundage of the average lab, yet they produce less noise, waste, and even benefit your soil. WHAT'S THE BIG DEAL?!? The same residents who are afraid they might hear a hen cluck are *always* the same ones who think nothing about hiring yard crews to jump out of trucks with huge yard tools, weed whacking and leaf blowing for hours at... any hour. How do you explain that your hens are illegal to your young children? We believe Richmond can catch up. Ask your officials to please do. I’m sadly starting to tally the cool technology / creative families leaving specifically for hen-friendly cities, like where many headquarters of Fortune 500 companies reside. "P.S. I want chickens, gardens, and compost bins in every public school one day. Cut down on trucking in greasy food options and get all kids, regardless of background, reconnected to food. It's a basic human right and should be a part of the curriculum. 'Chikunz S.O.L.s!' "